It’s a quintessential cranberry scene: Thigh-deep in a flooded bog full of millions of floating berries, two farmers extol the merits of products made from the tart red fruit. Most of the year, however, the bog is dry and the ripening cranberries cling to a dense tangle of woody, low-growing vines. That’s when people like Ben Tilberg start counting cranberries. 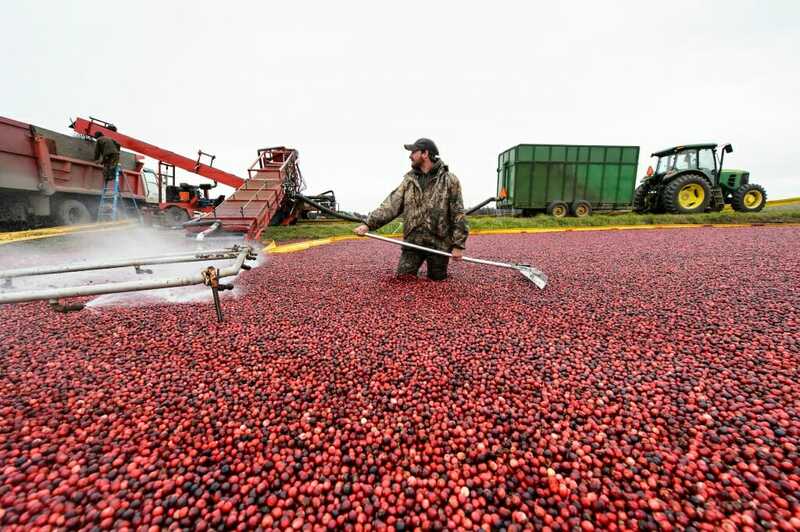 In big cranberry-producing states such as Massachusetts and Wisconsin, that’s a big deal: With 21,000 acres of cranberry bogs in 20 counties, Wisconsin is the nation’s top cranberry producer, growing more than half of all cranberries in the world. The sheer labor involved in counting cranberries the old-fashioned way prompted Tilberg to pursue a more efficient, technologically advanced method. 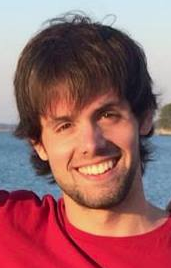 After reading news stories about imaging techniques used to study rainforests, he contacted University of Wisconsin–Madison electrical and computer engineering professors Susan Hagness and John Booske with his idea. “It was sort of a microwave radar concept he was envisioning,” says Booske. The result is a new device that essentially automates the counting process — without having to pick any berries, and with the potential to paint a more accurate picture of the crop and the harvest as a whole. To create the device, Hagness and Booske conducted feasibility studies in their lab with electrical and computer engineering graduate student Alex Haufler. The results were promising enough for the researchers to secure grants from the Wisconsin Cranberry Board and Ocean Spray. 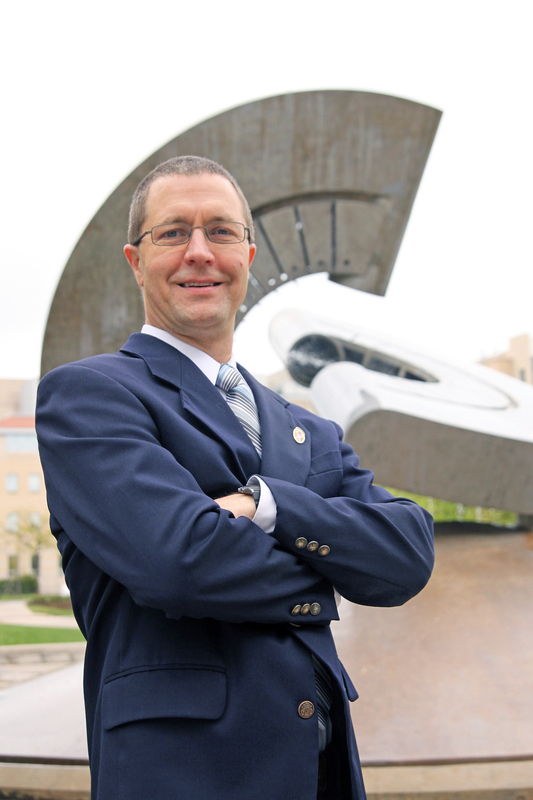 “The funding has enabled us to develop a microwave-based cranberry sensing technique,” says Hagness. 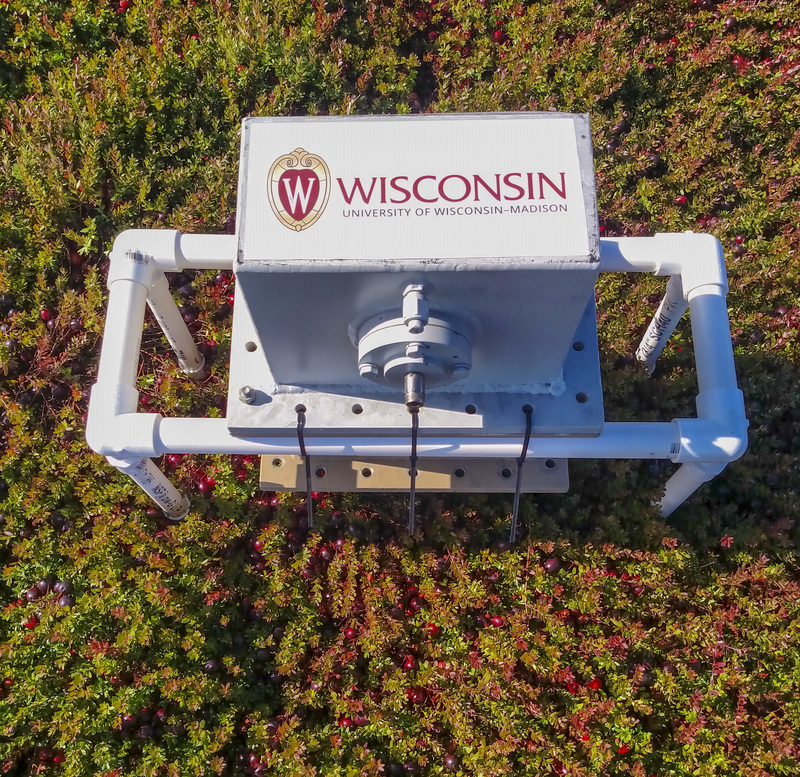 The team’s first-generation prototype — a small box-shaped device suspended above a square-foot section of cranberry bed — draws on technology similar to that used in medical imaging and weather radar. “We transmit a microwave signal that is reflected back from the cranberry bed, and the strength of the reflected signal indicates the number of berries within the canopy,” says Haufler. In weather radar, says Haufler, the strength of the reflected signal indicates how much water is contained within the clouds. That holds true for cranberries, also. “The cranberries have a significant water content compared to the surrounding stems and leaves, making them more responsive to the microwaves,” he says. In the fall, Haufler joined Tilberg in plots at the Dubay Cranberry Co., of Junction City, Wisconsin, and the Remington Cranberry Co., of Necedah, Wisconsin, to conduct a preliminary round of data collection using the prototype sensing device. Located in the heart of cranberry country in Central Wisconsin, both farms are members of the Ocean Spray cooperative. A substantial portion of Tilberg’s job is working directly with growers on everything from nutrient and pest management to fruit quantity and quality. He says growers easily would be able to use the device to scan an entire cranberry bed. 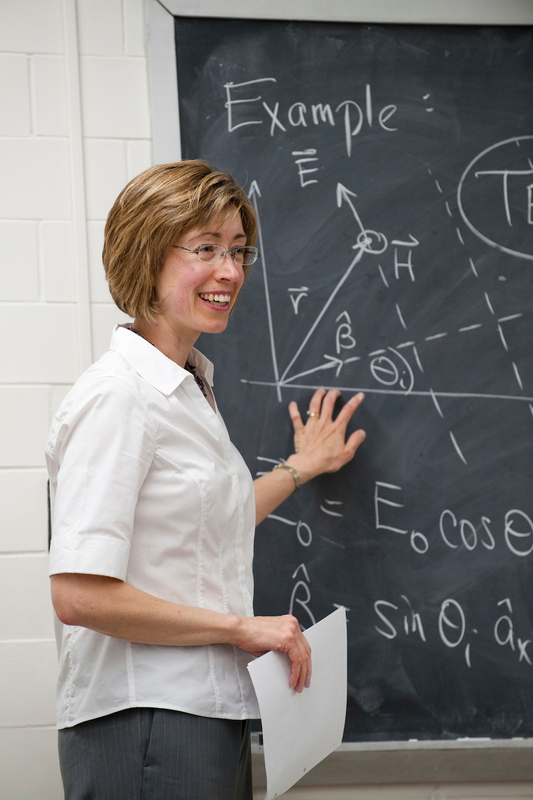 Ocean Spray has a longstanding research relationship with UW–Madison. Tilberg also collaborates closely with cranberry geneticist Juan Zalapa, a U.S. Department of Agriculture research geneticist and UW–Madison associate professor of horticulture who also helped to inform the cranberry-counting device’s development. Zalapa’s aim is to develop new cranberry varieties that offer increased yield; improved quality, taste and nutritional content; and better response to factors such as extreme weather, insects and disease pressure. “Cranberry growers don’t all plant one and the same variety, but there are many choices and this kind of technology can help growers adopt new varieties or pick multiple varieties that can be sustainable and produce well in their particular operation. Zalapa’s living laboratory consists of hundreds of 5-by-5-foot cranberry plots, all of which annually require a crew of 10 people many days — or even weeks — to hand-harvest and count fruit. He says the new technology could be a huge boon not only for his research, but for the industry as a whole. Using the data he collected in fall 2017, Haufler now is optimizing the algorithms used to convert the measured microwave signals into estimates of cranberry numbers and improving the technology so it’s ready for another round of testing in 2018. For that phase, the team is planning to attach the device to a boom, or long cabled beam, that extends 80 feet out over a cranberry bed. Ultimately, says Hagness, the goal is to transfer the technology directly into the hands of the people who will benefit from it. “I think there’s a mechanism down the road for this to be accessible to any grower,” she says.